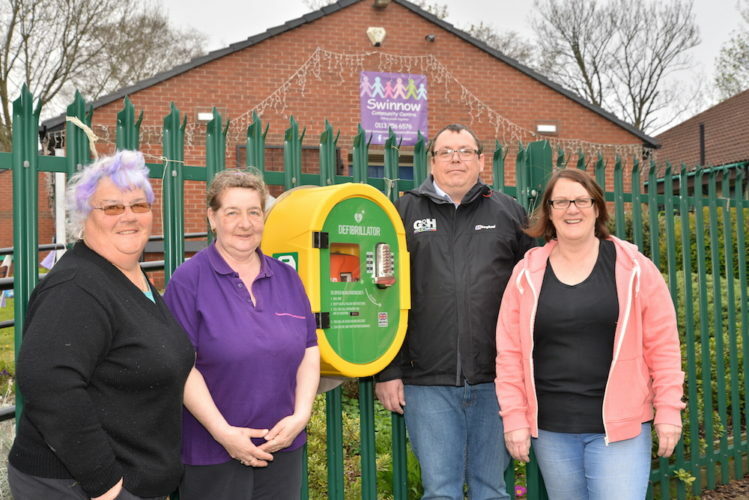 The G&H Group has installed a defibrillator at a Pudsey community centre to help save lives in the area. The not-for-profit Pudsey Carnival team has raised funds for a number of the machines to be fitted locally. Pudsey Carnival Vice-Chairman, Cllr Mark Harrison, contacted G&H to see if it could help source materials and fit the equipment at Swinnow Lane Community Centre. The defibrillator needed to be installed outside the building and mounted to the fence so it can be used even when the centre is closed. G&H Group’s Quality Compliance Manager, Ken Shepherd, said: “Initially we were asked by the Pudsey Carnival team to provide a quote for our labour and sourcing the materials needed to fit the defibrillator and they would then raise funds to cover the cost. “We decided to do all the work in support of the local community and contribute to such a worthwhile cause that has the potential to save lives – the more of these machines available, the better. Previously, G&H donated 12 state-of-the-art walkie-talkies to Pudsey Carnival to allow volunteers and stewards to retain constant communication with each other throughout the day when the event is held. Swinnow Lane Community Centre has a café and hosts weekly activities such as street dancing, line dancing and a sunshine club for children. Yearly events include race nights, film nights, children’s parties and a huge summer family fun day. It is also available for businesses and the public to hire.